For a long time, we’ve heard about how the Marvel Cinematic Universe will expand into television on Disney’s streaming subscription service, Disney+. One of the first shows to be announced was Loki, which would star Tom Hiddleston as the titular character on a show that would have Quantum Leap vibes. Next up, Falcon and Winter Soldier, and Scarlet Witch and Vision. These would focus on these pairs in new stories that would take place after Avengers: Endgame. Additionally, there would be Marvel Studios’ first animated show called What If, and the newly announced Hawkeye show that will bring back Jeremy Renner to play the title character who will teach Kate Bishop how to be an Avengers archer. 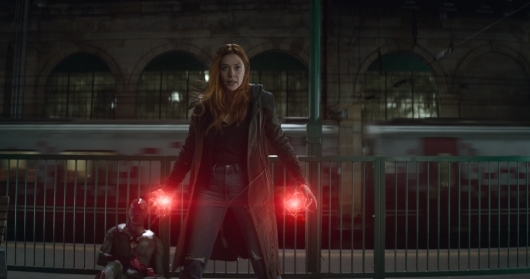 Now, during an investors meeting, Disney confirmed that Falcon and Winter Soldier, and the Scarlet Witch and Vision show which is now being called WandaVision, are being added to their Marvel Studios television lineup. More on the report below.